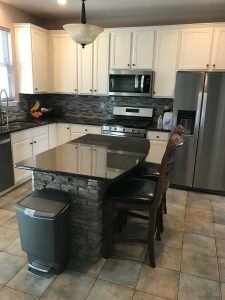 Look no further than this home in Perkasie for some serious kitchen inspiration! 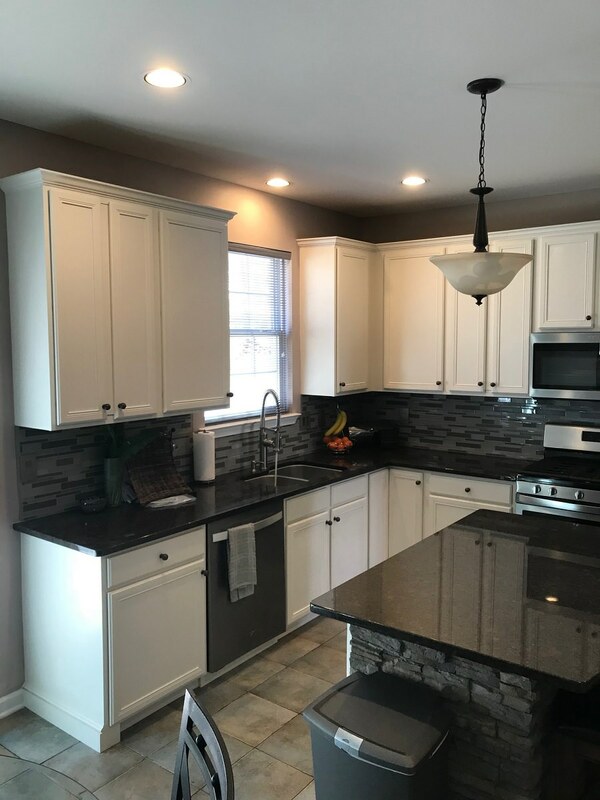 The homeowners couldn’t be happier after their kitchen cabinets and walls received a fresh paint job from LaffCo. Painting, transforming the space into a cooking haven. Sometimes all it takes is a new paint job to complete the room of your dreams. 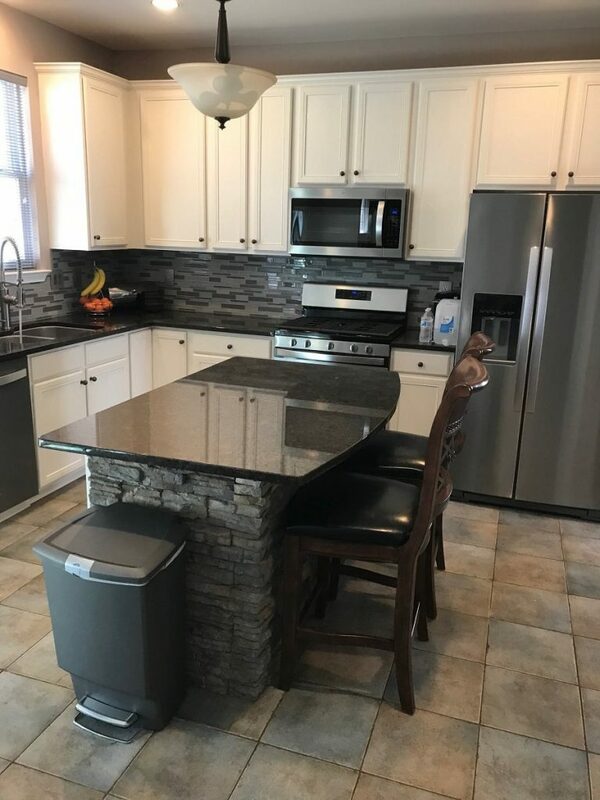 This kitchen already had a beautiful color scheme going for it – the dark granite kitchen tops perfectly matched the grey and black tile backsplash. The wooden cabinets, on the other hand, didn’t fit in as seamlessly. 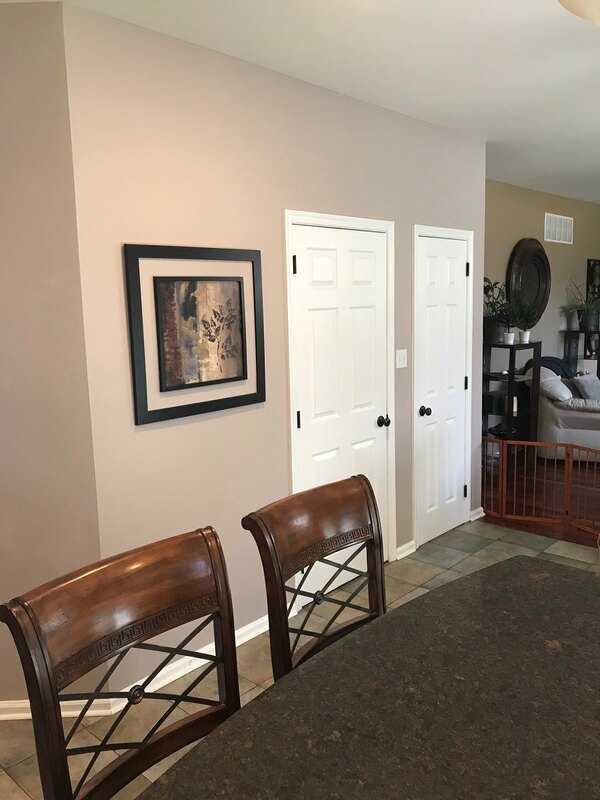 We sat down with the owners to discuss cabinet color options and suggested Dover White by Sherwin Williams. Their eyes lit up when we showed them a sample, and so the painting began! 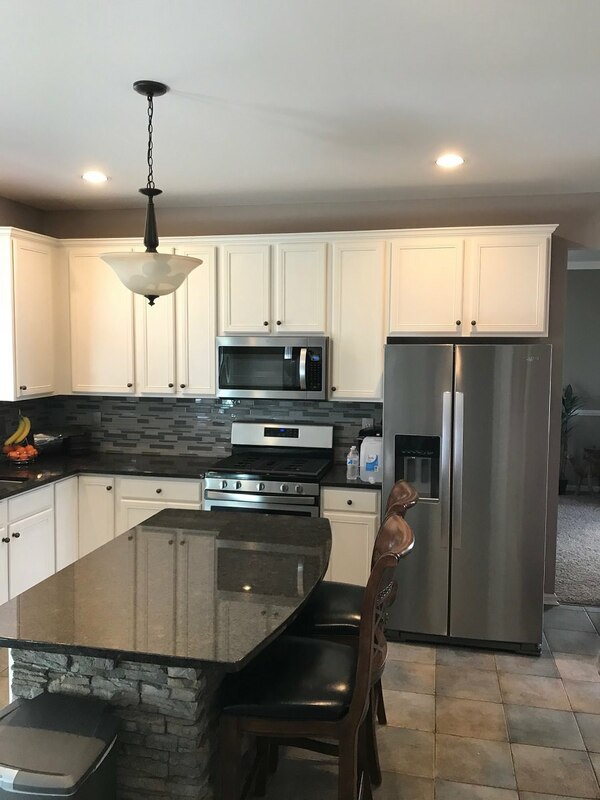 When we were done with the cabinets, they looked brand-new and factory finished. The project didn’t stop there! 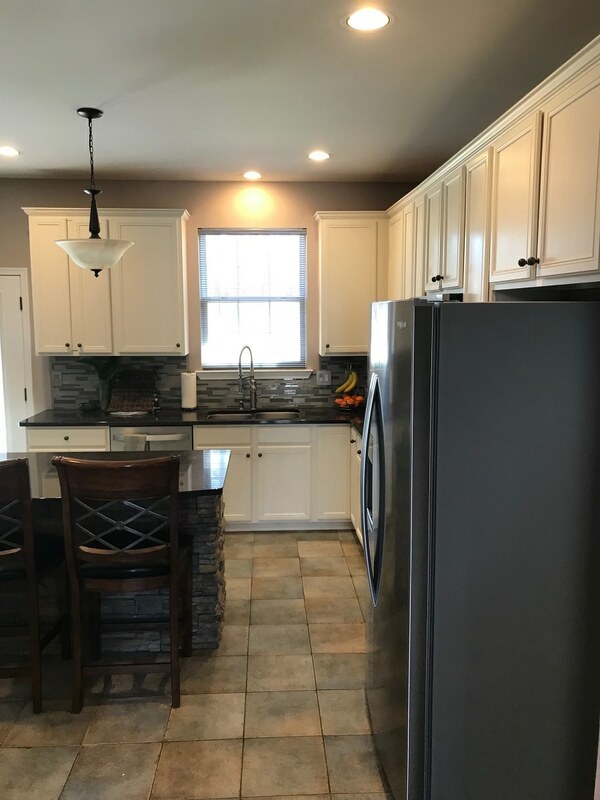 To really freshen up the kitchen, we painted the walls in Temperature Taupe by Sherwin Williams. It beautifully matches the kitchen’s color scheme while still keeping the room light. 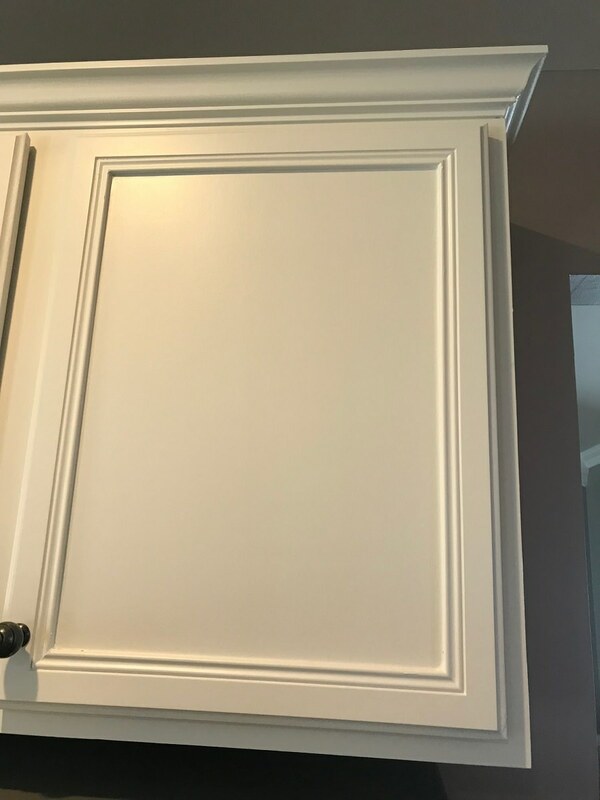 Because the space above the kitchen cabinetry is quite tight, the painting process can be tricky – but it was no match for our experts at LaffCo. Painting. 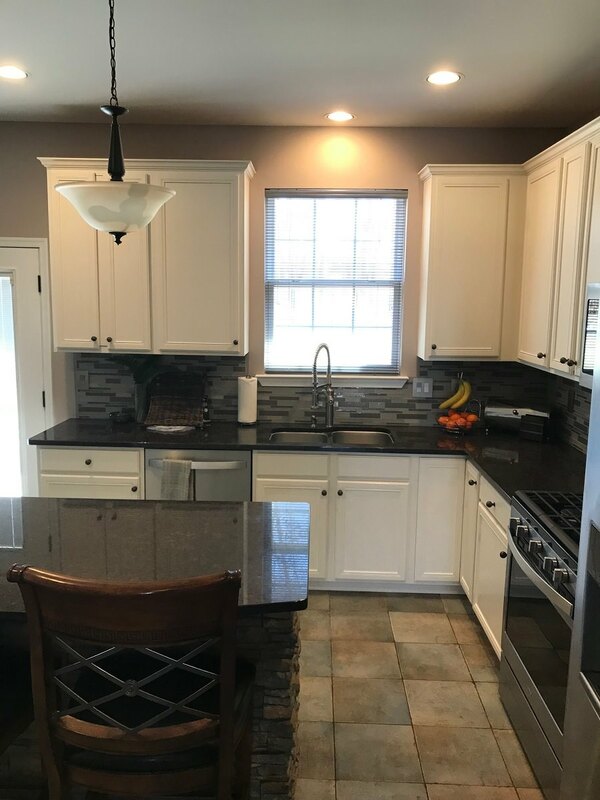 Once the paint dried, the kitchen really looked brand new. 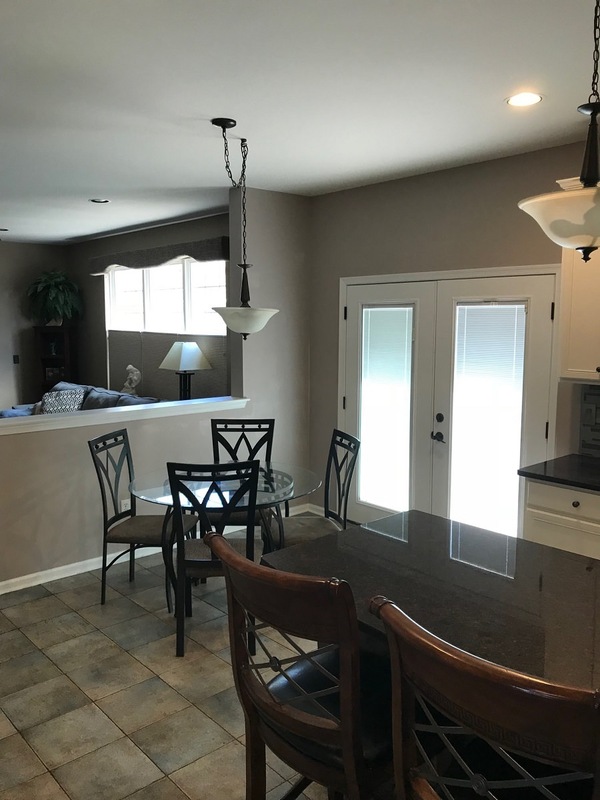 The owners couldn’t be happier with the outcome, and they now have a gorgeous kitchen that many homeowners dream of! 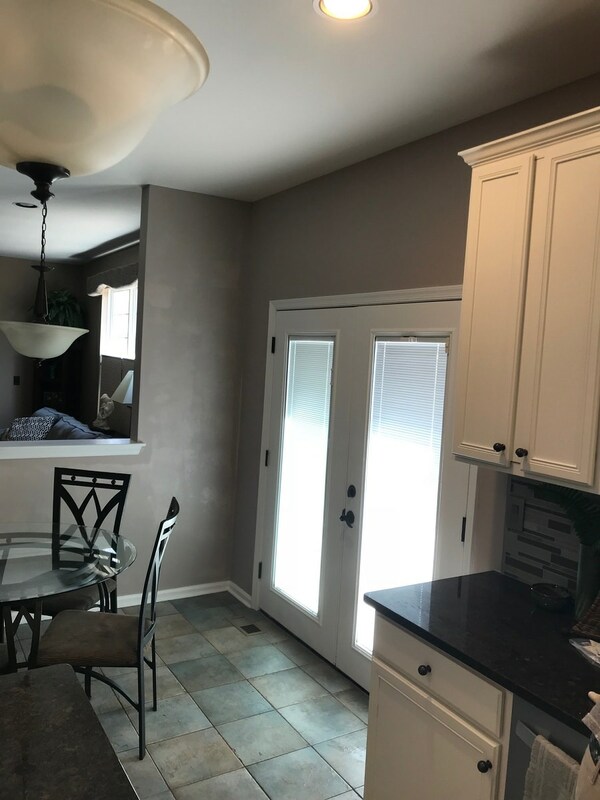 Click here to get your free painting quote from LaffCo. Painting today.